William Colburn, February 1932. The William Colburn Papers, Cranbrook Archives. Team of men at dig. The William Colburn Papers, Cranbrook Archives. 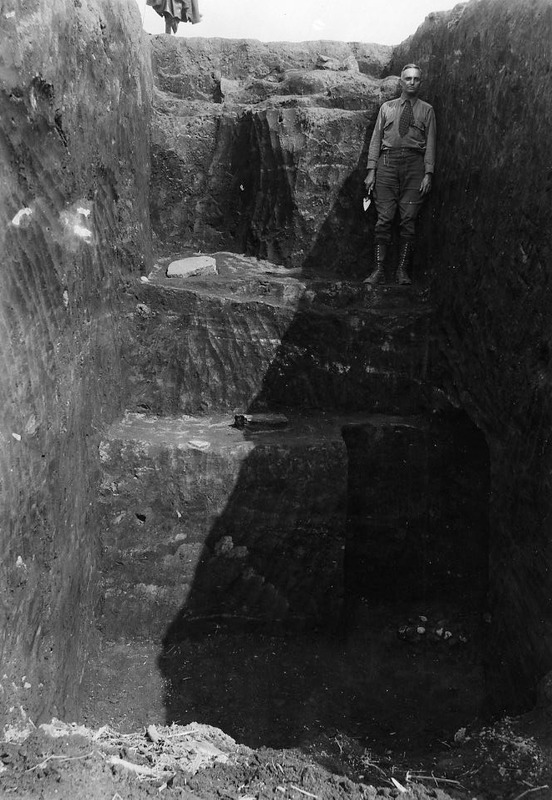 In honor of International Archaeology Day, today’s Photo Friday is a tribute to Archaeologist William Colburn (1882-1966). Colburn, a Detroit native, first visited Cranbrook Institute of Science in 1932. He spent a few weeks in December of the same year fixing display and lighting issues the Institute had in the “mineralogical room.” It came to his attention in 1933 that there were multiple collections of mineral specimens held by the Detroit Museum of Art (now the Detroit Institute of Art) that were not being displayed due to lack of space. 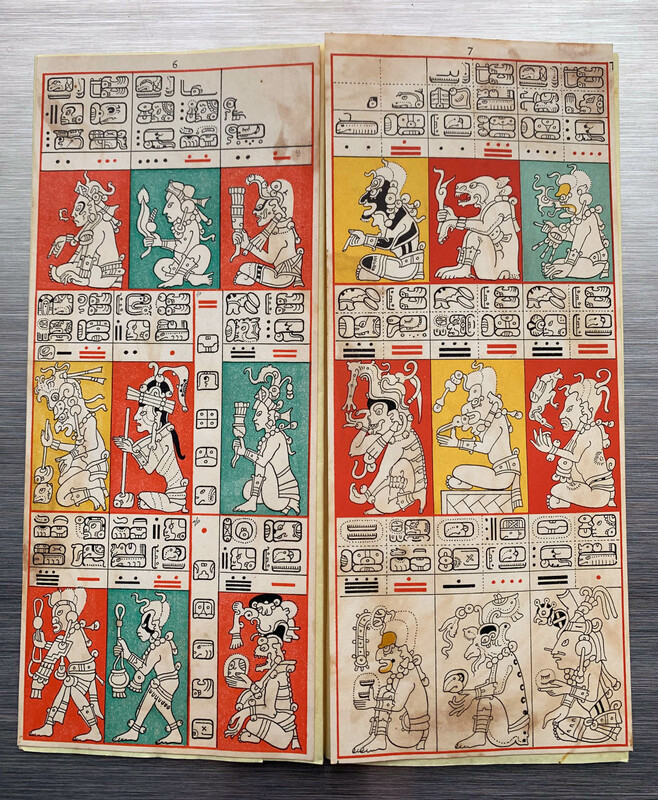 Colburn secured an indefinite loan of these collections to the Institute, and spent the majority of the summer of 1933 cataloging and displaying them. Subsequently, Colburn accepted a position on the Institute’s Board of Trustees, a position he held from 1933-1944. Colburn’s sketch of the bowling alley. The William Colburn Papers, Cranbrook Archives. Taken after the rain, the arrangement of fieldstones can be seen. The William Colburn Papers, Cranbrook Archives. 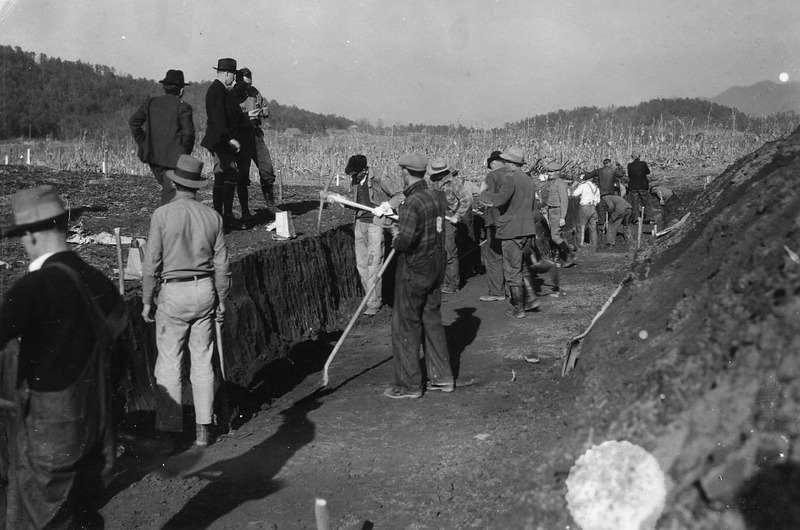 Colburn is well-known for an excavation he led in February 1932 of the J.J. Greenwood Mound, a Cherokee civilization near Dillard, Georgia. Although he did not find any major burials or relics, Colburn’s team did come across some interesting finds. 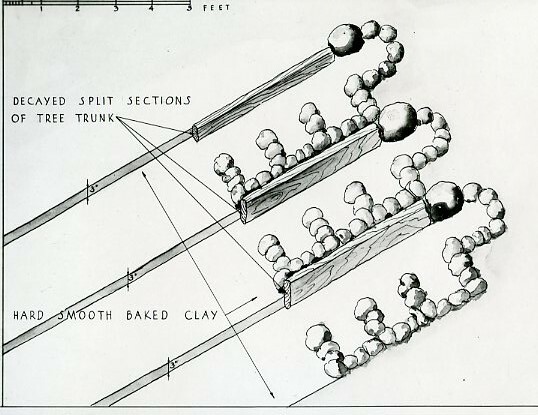 In his report, Colburn describes the discovery of a stone alignment that he interpreted as a Cherokee “bowling alley” (a Native American game). 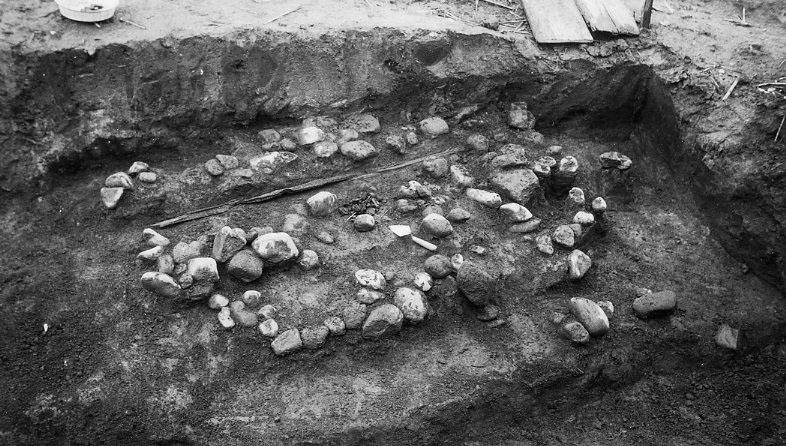 A formation of fieldstones was found with a smooth hard-baked clay runway. A rainstorm shortly after the discovery shifted the original arrangement of the stones. Thirty-two disk-shaped stones with rounded edges discovered at the sides of the “runway” were used for the game. One of the stones was found with a chip that had been carefully repaired by the Cherokee. 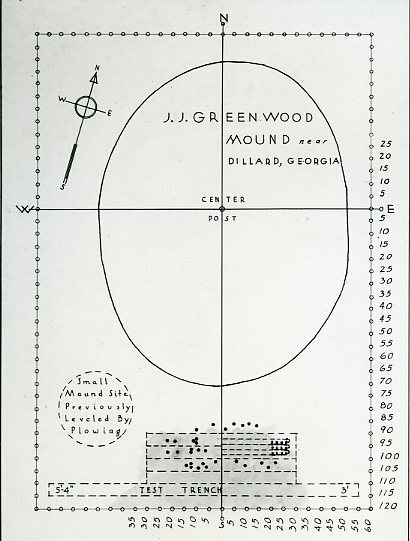 Colburn’s drawing of the mound site. The William Colburn Papers, Cranbrook Archives. Colburn made several innovations for which Cranbrook became known, including internally lit display cases and back-lighting mineral specimens. Colburn sought out specimens, making numerous trips to the Upper Peninsula, and even the Eastern and Western parts of the country, in order to build the collections at the Institute. Through his many excavations Colburn obtained numerous mineral specimens for the Institute. In addition, he bequeathed a generous amount of specimens to the Institute.